So there is the obvious thread here, forgiveness is a good thing. If you can truly forgive the people who have done your wrong, you no longer have to carry around the baggage associated with those people. Not an easy thing to do, and I have personally worked for decades to forgive some of the people in my past. Recently, I’ve incorporated forgiveness into my daily meditations and it has begun to help, I’m closing in on a more forgiving and happier place. Life is too short to spend time holding on to negative feelings. I was watching an episode of William Shatner’s Raw Nerve, it was an episode featuring Drew Carey. Now if you’ve never seen this show, click on the link and read a blog entry about the series. I think, in all seriousness, it may be the best interview show that has ever been on television. I haven’t seen Drew Carey on anything in quite some time, apparently he’s hosting the Price is Right these days. 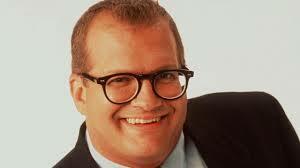 However, this is not the Drew Carey I remember; he’s older, more serious and absolutely more thoughtful and spiritual. While being interviewed by Shatner he said something I found to be very profound. He said he’s working on getting to a place where he forgives in advance. All of us strive to be people who forgive, and we would love to become the type of person who forgives quickly. But Drew Carey was talking about forgiving in advance and this was the example he used. Someone cuts you off in traffic, you honk your horn or worse and then, later a few minutes or a few hours you think, gee why did I get so upset, in the grand scheme of things that was nothing and you forgive that person. A great thing would be to be the type of person who can thank immediately, you get cut off and as you start to react, you come to a place of forgiveness and stop. Now imagine, forgiveness in advance, someone cuts you off and you’ve already forgiven their error. There would be no need to get upset, not even for a second. This entry was posted in personal happiness and tagged blog, drew carey, forgiveness, happiness, life, philosophy, raw nerve, william shatner. Bookmark the permalink.